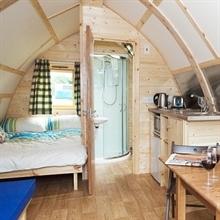 Wigwam® Holidays Portree is in a central location, on the outskirts of the island capital, great for visiting all the stunning sights the Island of Skye has to offer. 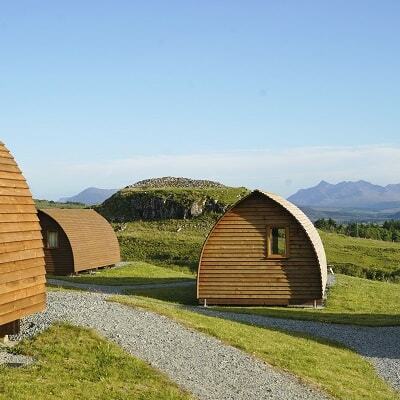 Your Wigwam® cabin offers uninterrupted views of the Cuillin Mountain range. Portree has a wide choice of restaurants, pubs, shops and activities . On the doorstep of your Wigwam® Cabin northwards is the Trotternish Ridge, a spectacular ridge of hills which includes at its highest summit, the Storr, and its iconic pinnacle The Old Man of Storr. The ridge is also home to the Quiraing and its area of pinnacles and gullies such as the Prison and the Table. Unique scenery, outstanding views and manageable walks not to be missed.